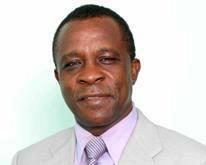 Grenada’s Prime Minister Dr. Keith Mitchell will be honoured by the Caribbean Media Exchange for contributions to the region over his four terms at the helm of the island nation. Prime Minister Mitchell heads the list of honourees to be recognised at the upcoming Caribbean Media Exchange (CMEx) Leadership Awards on Sunday, 8 December in New York City. “It is my honour to accept the 2013 Caribbean Media Exchange Leadership Award,” said the Grenada Prime Minister when notified of the distinction. Earlier this year, Dr. Mitchell, who was sworn in as Prime Minister for the fourth time, led his New National Party to a 15–0 victory, the second time he and his party achieved such a dominant win at the polls. Dr. Mitchell, an avid cricketer and a former captain of the Grenada Cricket Team as well as the combined Windward and Leeward Youth Cricket Team, stated: “I will work diligently to ensure that the hope of the nation is not diminished; that all our citizens know that I am working on their behalf daily, for the betterment of our society. I am grateful to organizations like yours for highlighting our unique region, and for all you do in ensuring its development. Continue to do good work. The people of the region are all better for it,” Dr. Mitchell declared. Joining the Prime Minister on the CMEx honor roll are Earlston McPhee, the focal point for sustainable tourism development at the Bahamas Ministry of Tourism, Puerto Rico’s Terestella González Denton and Bill Clegg of Choice Hotels International. The CMEx fundraiser, a nonprofit event featuring live entertainment and a silent auction, is set for The 40/40 Club in New York City on Sunday, 8 December 2013. The event is sponsored by the U.S. Virgin Islands Department of Tourism, the Barbara Pyle Foundation, Bay Gardens Resorts, Caribe Hilton San Juan, Coco Palm, Comfort Suites Seven Mile Beach, LIAT – The Caribbean Airline, Stuart Cove’s Aqua Adventures, and Wyndham Nassau Resort and Crystal Palace and Casino.